Does Supplemental Hydrogen Really Work? Supplemental Hydrogen Improves Your Fuel Mileage! The controversial debate on supplemental hydrogen use (hydrogen induction into fuel burning engines) has long been answered by scientist of recent times and decades ago. Yet the question still lingers: Does supplemental hydrogen really work? The documentation that follows are from reputable scientist/engineers that studied hydrogen induction. Most of these documents are by the SAE (Society of Automotive Engineers). 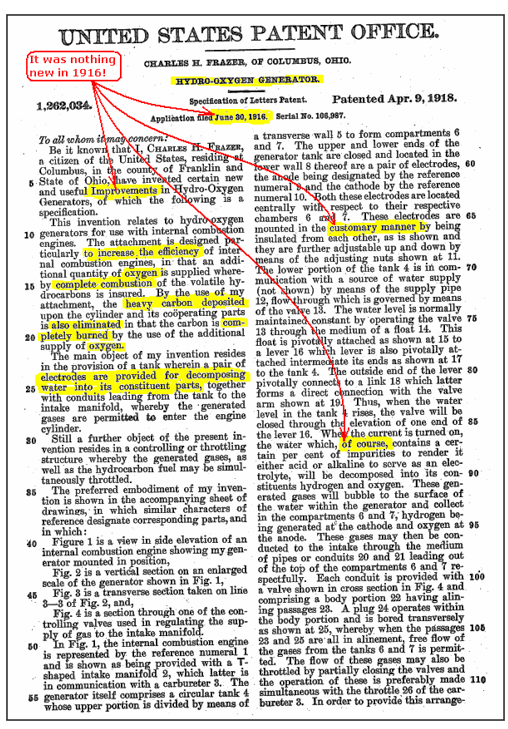 Supplemental hydrogen development goes back to the 1800's and in the early 1900's patent applications ensued (see below). Some abbreviations used in these documents are as follows: ICE - Internal Combustion Engine, and SI - Spark Ignition; as in an "SI engine". Cassidy, J.F., “Emissions and Total Energy Consumption of a Multi-Cylinder Piston Engine Running on Gasoline and a Hydrogen-Gasoline Mixture,” Technical Note Report # E-9105, May, 1977, National Aeronautics and Space Administration, Washington, D.C. Adding hydrogen to gasoline significantly increased flame speed and allows for a leaner air/fuel ratio. All emissions levels decreased at these leaner conditions. Allgeier, T., Klenk, M., Landenfeld, T., Conte, E., Boulouchos, K., Czerwinski, J., “Advanced Emission and Fuel Economy Concept Using Combined Injection of Gasoline and Hydrogen in SI Engines,” Publication #2004-01-1270, March, 2004, Society of Automotive Engineers, Troy, MI. Adding hydrogen to gasoline produces improvements in engine efficiency and emissions. Apostolescu, N., Chiriac, R., “A Study of Combustion of Hydrogen-Enriched Gasoline in a Spark Ignition Engine,” Publication #960603, February, 1996, Society of Automotive Engineers, Troy, MI. Adding hydrogen to gasoline produces improvements in engine efficiency and emissions, due to accelerated combustion. Conte, E., Boulouchos, K., “Influence of Hydrogen-Rich-Gas Addition on Combustion, Pollutant Formation and Efficiency of an IC-SI Engine,” Publication #2004-01-0972, March, 2004, Society of Automotive Engineers, Troy, MI. Adding hydrogen to gasoline results in lower emissions and a significant increase in engine efficiency. 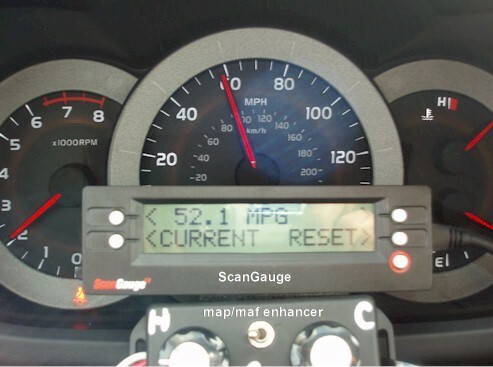 Fontana, G., Galloni, E., Jannelli, E., Minutillo, M., “Performance and Fuel Consumption Estimation of a Hydrogen Enriched Gasoline Engine at Part-Load Operation,” Publication #2002-01-2196, July, 2002, Society of Automotive Engineers, Troy, MI. Adding hydrogen to gasoline increases the flame speed at all gasoline air/fuel ratios, so engine operation at very lean mixtures is possible. Goldwitz, J., Heywood, J., “Combustion Optimization in a Hydrogen-Enhanced Lean Burn SI Engine,” Publication #2005-01-0251, April, 2005, Society of Automotive Engineers, Troy, MI. Adding hydrogen to gasoline can extend the lean limits of the air/fuel ratio. Green, J., Bromberg, L., Cohn, D., Rabinovitch, A., Domingo, N., Storey, J., Wagner, R., Armfield, J., ”Experimental Evaluation of SI Engine Operation Supplemented By Hydrogen Rich Gas From a Compact Plasma Boosted Reformer,” Publication #2000-01-2206, June, 2000, Society of Automotive Engineers, Troy, MI. Adding hydrogen to gasoline can reduce exhaust emissions and increase efficiency. A large reduction in nitrogen oxide emissions can be achieved without a catalytic converter due to very lean operation under certain conditions. Henshaw, P., D’Andrea, T., Ting, D., Sobiesiak, A., “Investigating Combustion Enhancement and Emissions Reduction With the Addition of 2H2 + O2 to a SI Engine,” Publication #2003-32-0011, September, 2003, Society of Automotive Engineers, Troy, MI. Adding hydrogen to gasoline resulted in improved engine. 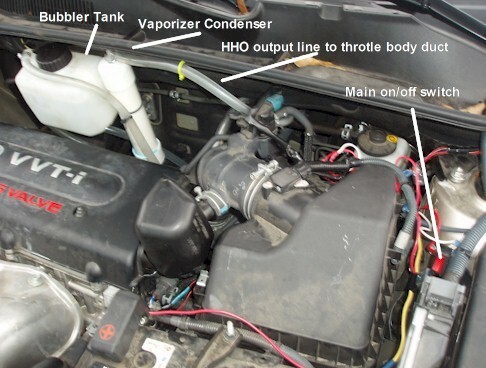 Houseman, J., Cerini, D., “On-Board Hydrogen Generator for a Partial Hydrogen Injection Internal Combustion,” Publication #740600, February, 1974, Society of Automotive Engineers, Troy, MI. 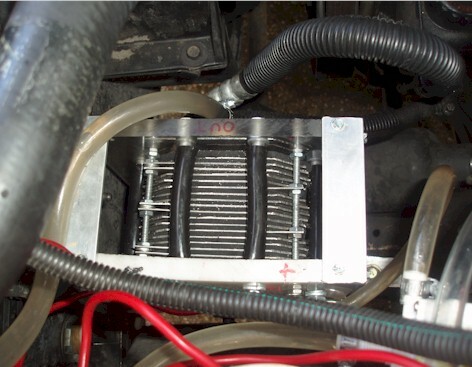 A compact onboard hydrogen generator has been developed for use with a hydrogen-enriched gasoline internal combustion engine. Jing-ding, L., Ying-ging, L., Tian-shen, D., “An Experimental Study on Combustion of Gasoline-Hydrogen Mixed Fuel,” Publication #830897, April, 1989, Society of Automotive Engineers, Troy, MI. Adding hydrogen to gasoline produces improvements in engine efficiency and emissions due to accelerated flame speed and combustion rate. Lang, O., Habermann, K., Thiele, R., Fricke, F., “Gasoline Combustion with Future Fuels,” Publication #2007-26-021, January, 2007, Society of Automotive Engineers, Troy, MI. This paper describes current and future gasoline combustion systems with emphasis on efficiency improvement and emission reduction. Shinagawa, T., Okumura, T., Furuno, S., Kim, K., “Effects of Hydrogen Addition to SI Engine on Knock Behavior,” Publication #2004-01-1851, June, 2004, Society of Automotive Engineers, Troy, MI. Adding hydrogen to gasoline reduced knock due to accelerated fuel burn and shortened combustion period. Sjarstrarm, K., Eriksson, S., Landqvist, G., “Onboard Hydrogen Generation for Hydrogen Injection into Internal Combustion Engines,” Publication #810348, February, 1981, Society of Automotive Engineers, Troy, MI. Adding hydrogen to gasoline showed a potential for very low pollutant emissions with increased energy efficiency. Stebar, R., Parks, F., “Emission Control with Lean Operation Using Hydrogen-Supplemented Fuel,” Publication #740187, February, 1974, Society of Automotive Engineers, Troy, MI. Adding hydrogen to gasoline resulted in significant efficiency improvements due to the extension of the lean operating limit. Tully, E., Heywood, J., “Lean-Burn Characteristics of a Gasoline Engine Enriched with Hydrogen from a Plasmatron Fuel Reformer,” Publication #2003-01-0630, March, 2003, Society of Automotive Engineers, Troy, MI. Adding hydrogen to gasoline extended the lean limit of engine operation, resulting in greater efficiency and reduced emissions, both hydrocarbons and nitrogen oxides. Heywood, J., Internal Combustion Engine Fundamentals, McGraw-Hill International Editions Automotive Technology Series, McGraw-Hill, New York, NY, 1988. This text, by a leading authority in the field, presents a fundamental and factual development of the science and engineering underlying the design of combustion engines and turbines. An extensive illustration program supports the concepts and theories discussed. It is referenced in many of the papers listed in this document. Lewis, B., Von Elbe, G., Combustion, Flames, and Explosions of Gases, 3rd ed., Academic Press, Orlando, FL, 1987. The fundamental principles of gas combustion are. Extensive diagrams, graphs, photographs, and tables of numerical data are provided. Referenced in the links in this document. 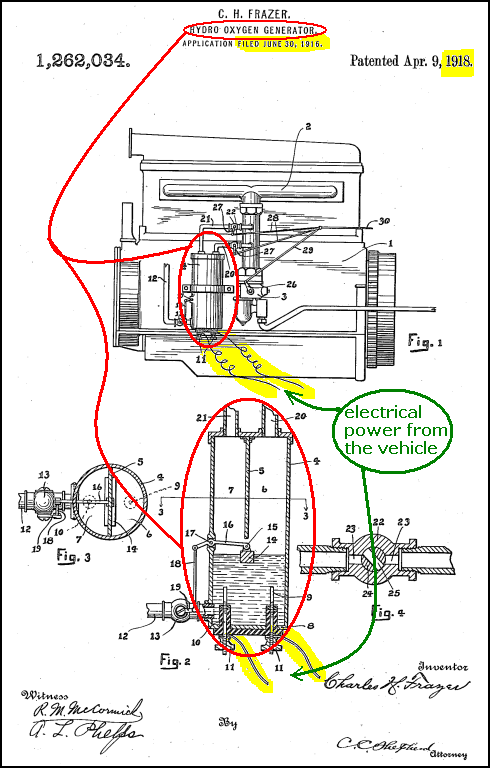 Taylor, C. The Internal Combustion Engine in Theory and Practice, 2 Vols., 2nd ed., Revised, MIT Press, Cambridge, MA, 1985. This revised edition of a classic work incorporates changes due to an emphasis on fuel economy and reduced emissions. Supplemental Hydrogen is known by several names, some variations are HHO, Oxy-Hydrogen and Brown's Gas. Below I will show you the main benefits of using Supplemental Hydrogen. 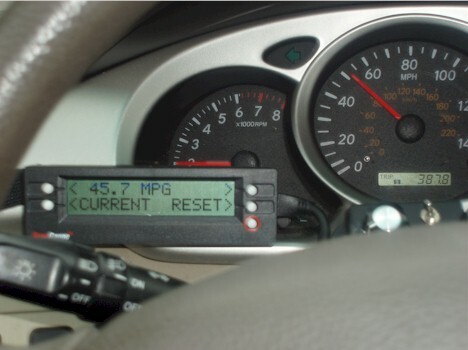 I guarantee a vast reduction in your fuel consumption (although from tests and user reports we have seen an average of 15 - 28%). The hydrogen cleans up the carbon build-up in your engine, allowing it to run smoother and more efficiently. Supplemental Hydrogen reduces the amount of harmful gases that your car releases in the atmosphere (making it environmentally friendly). As I said before, I guarantee a vast improvement in your gas mileage. However, I have had reports of an average of 15 - 28 % increase. With more reports coming in daily I continue monitoring the test results. The Hydrogen - Oxygen mixture extracted by unit from distilled water adds extra hydrogen to the fuel mixture (as you know, hydrogen burns easily and powerfully) while the oxygen increases the octane value of your fuel. So what you get is an energy-filled burner (hydrogen) and a higher octane fuel for FREE !! Most vehicle owners know by now that an engine loses efficiency as it accumulates carbon build-up. When hydrogen burns it doesn't create any carbon, so as long as you add hydrogen to your fuel mixture you will have no carbon build-up. Furthermore, the oxygen-hydrogen combination helps clean up deposits that are already there. Thus, you will have a cleaner engine that runs smoother and has more power. Everybody is worried about global warming. You might already know that this phenomenon is caused by build-up of carbon dioxide in the upper atmosphere. The wonderful thing about Supplemental Hydrogen is that clean-burning hydrogen help better combust polluting carbon based fuels and so, it greatly reduces the amount of harmful emissions. By finding a way to improving combustion efficiency. Our Hydrogen Generators are helping regular vehicles produce a lot less emissions. We already meet California's emissions standards for 2009. "The Environmental Impact & Big Tax Break... "
Fuel efficiency and money-savings put aside, every engine on the road today should use Supplemental Hydrogen for the environmental benefits alone!